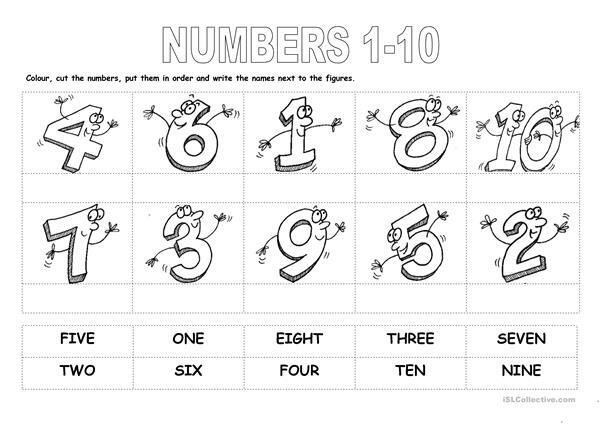 Colour, cut the numbers, put them in order and write the names next to the figures. 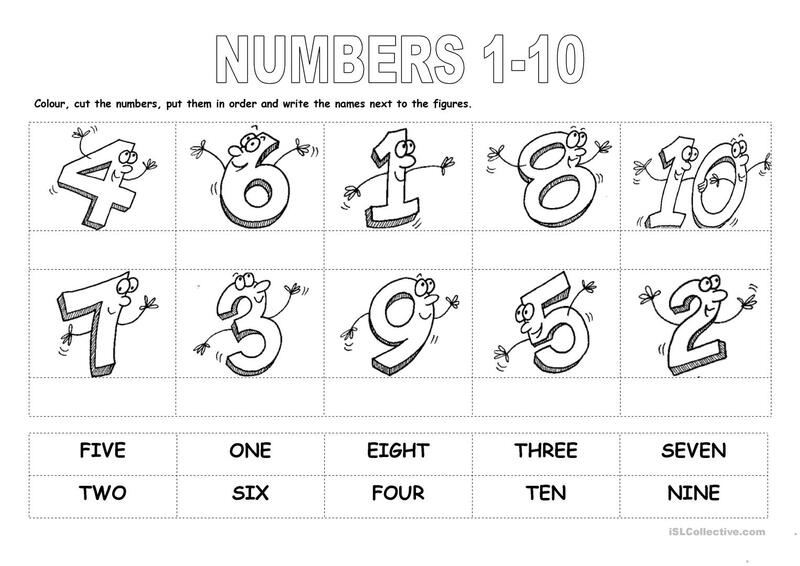 This downloadable handout was created for kindergartners and nursery school students at Beginner (pre-A1) and Elementary (A1) level. It is a valuable material for improving your groups' Spelling and Reading skills. It features the theme of Numbers.